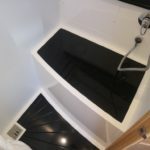 LOA (Metres/Feet): 12.20m / 40' 0"
Draft (Metres/Feet): 01.07m / 3' 6"
Beam (Metres/Feet): 04.07m / 13' 4"
Air Draft (Metres/Feet): 03.41m / 11' 2"
HAINES 400 – Launched 2010 – Powered by twin Volvo D6 330hp diesels. 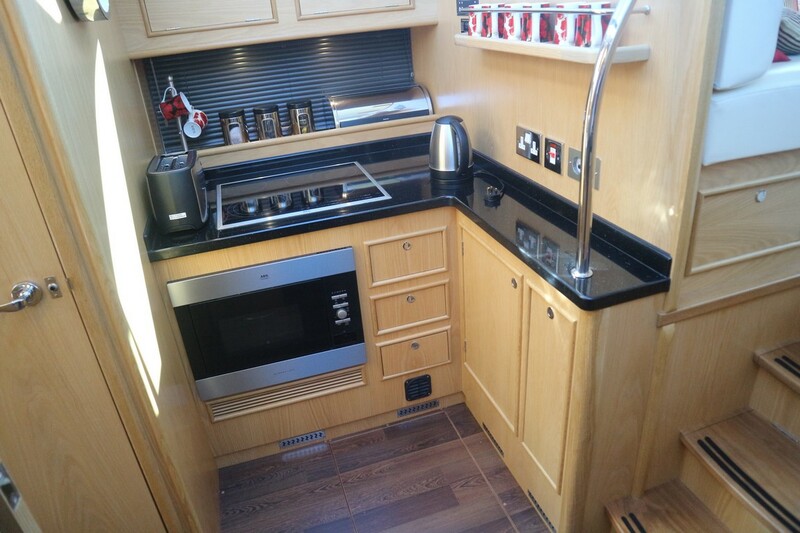 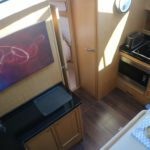 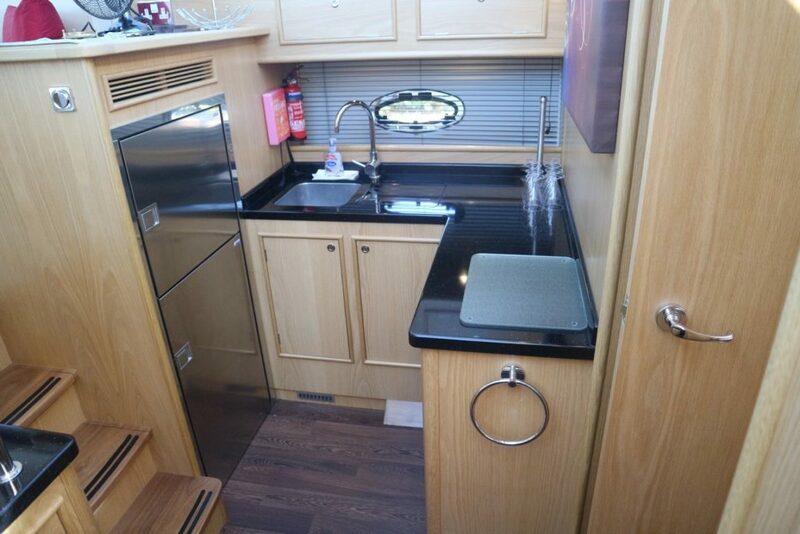 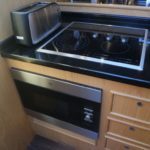 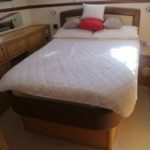 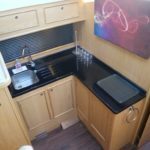 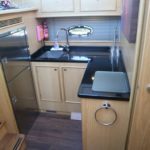 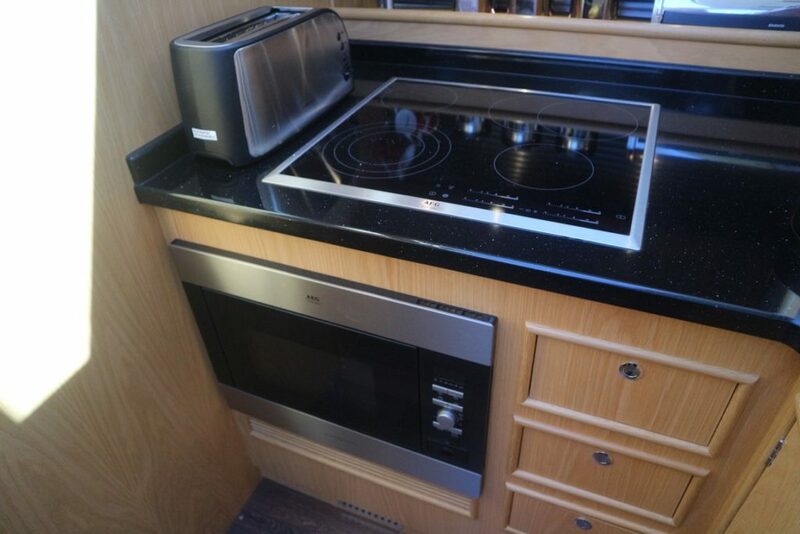 6 berth accommodation with 2 toilets and 2 showers. 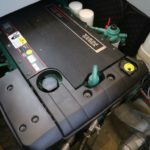 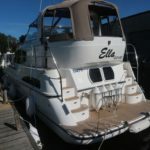 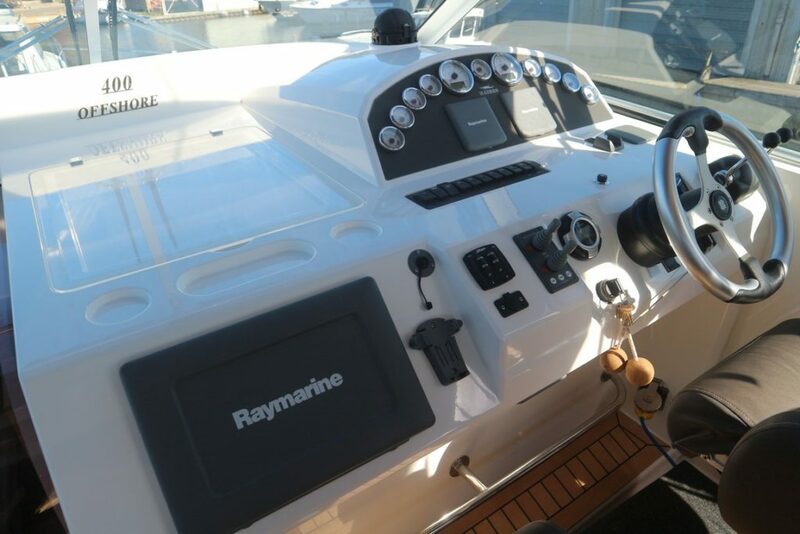 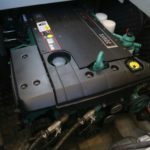 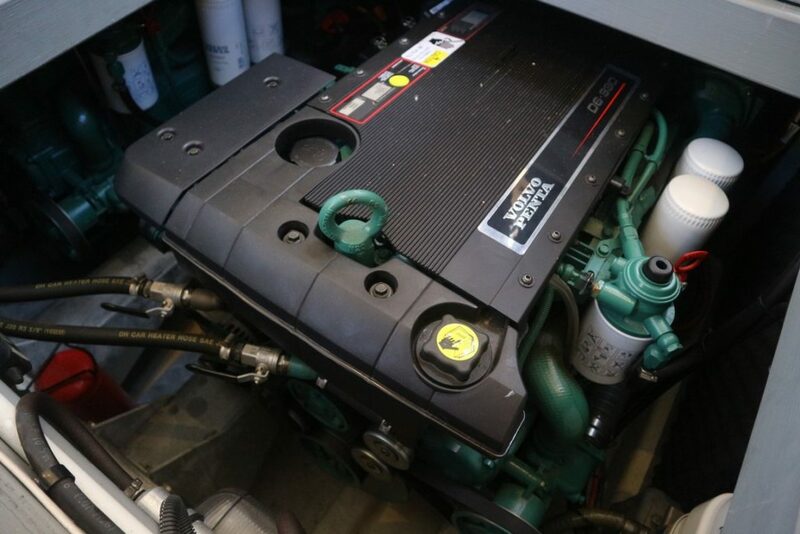 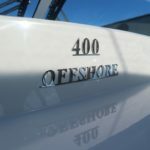 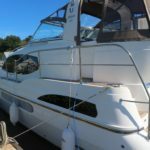 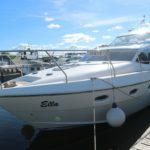 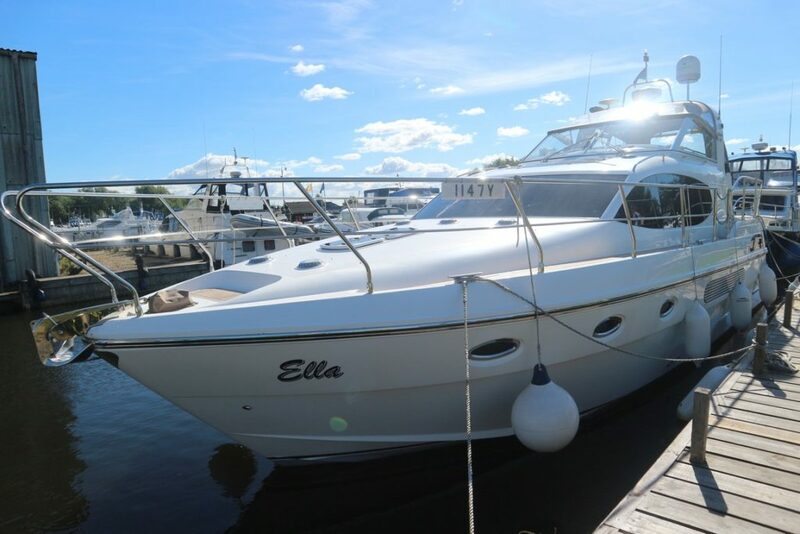 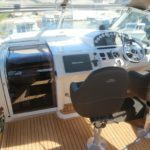 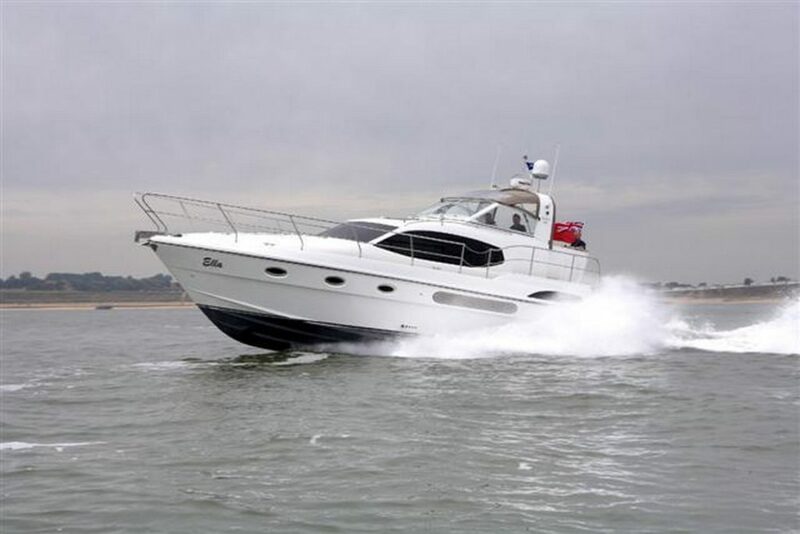 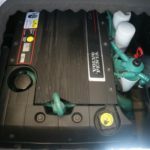 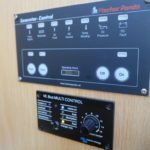 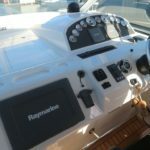 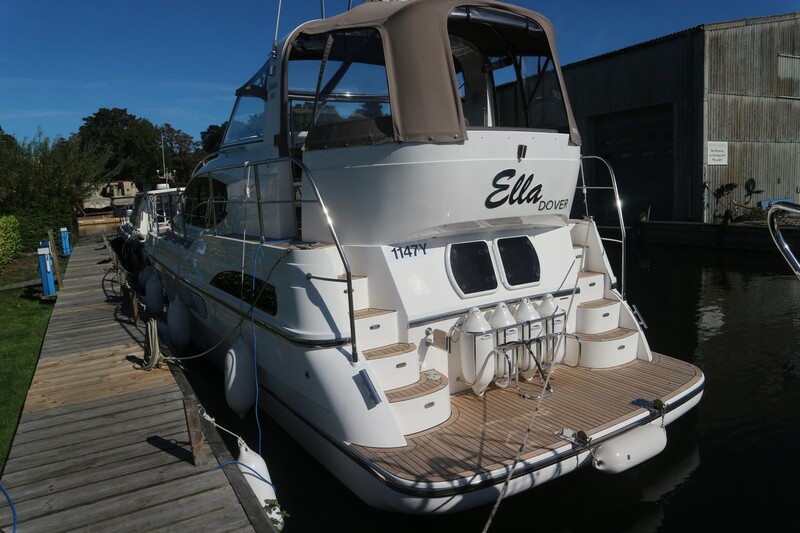 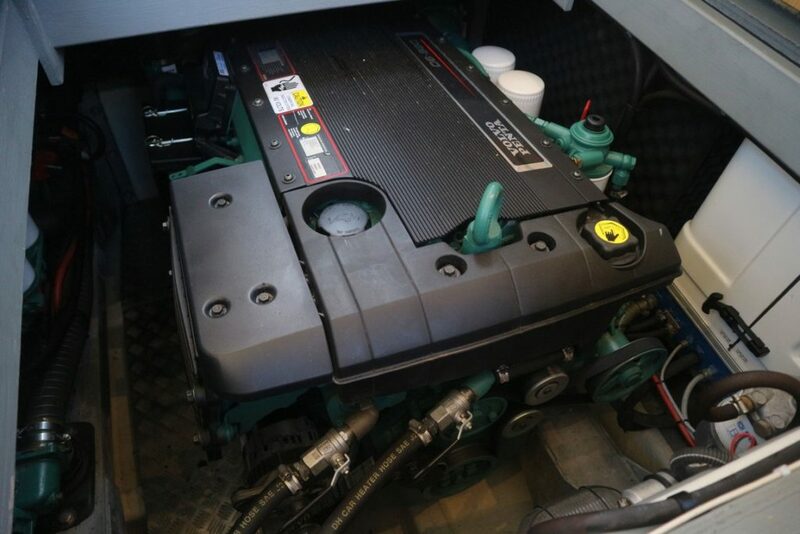 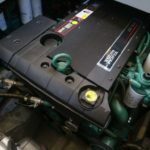 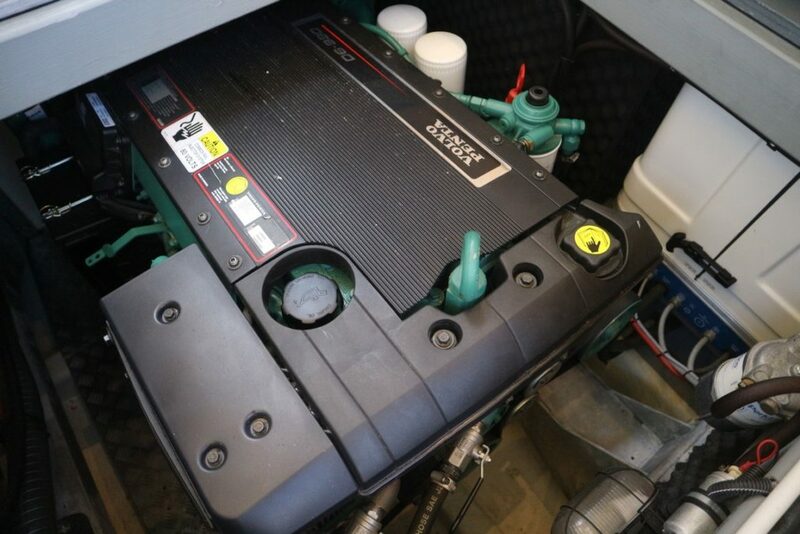 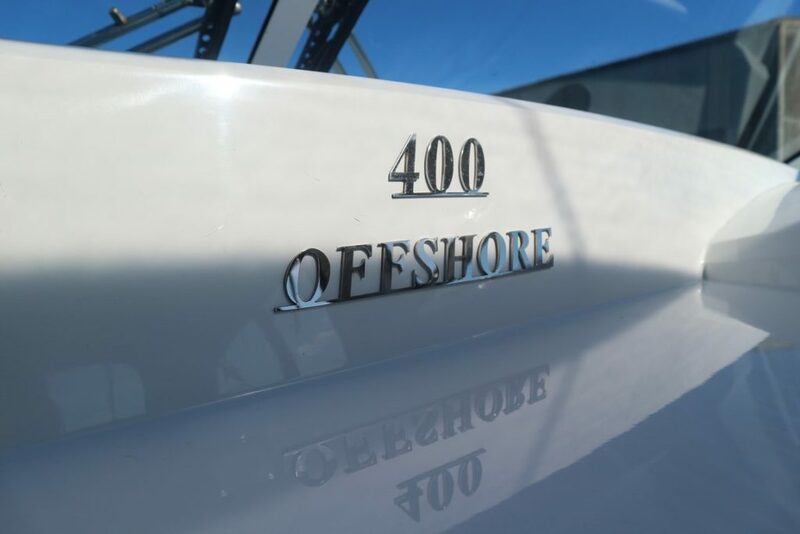 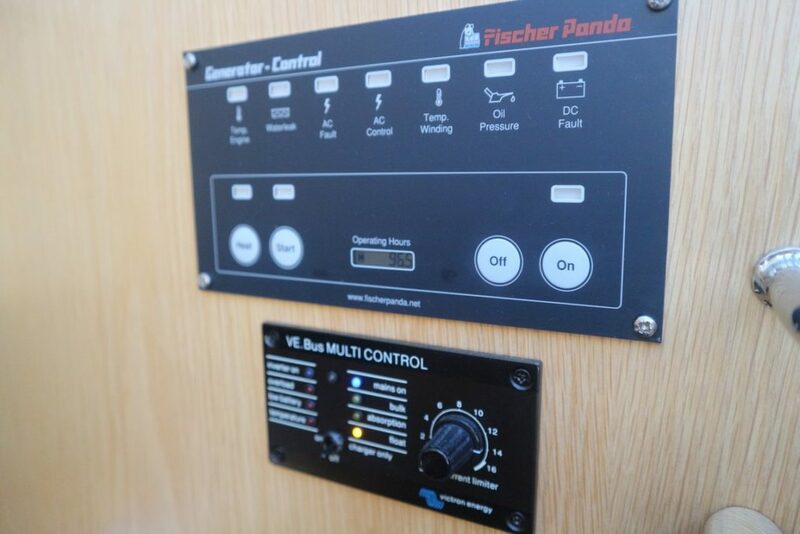 Very well specified to include; bow and stern thrusters, Generator, warm air heating, trim tabs, full Raymarine navigation equipment, electric windlass, Tracvision and holding tank. 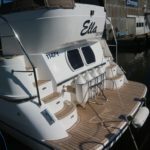 Teak laid, cockpit, bathing platform and decks with folding radar arch. 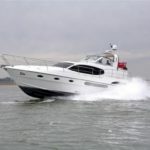 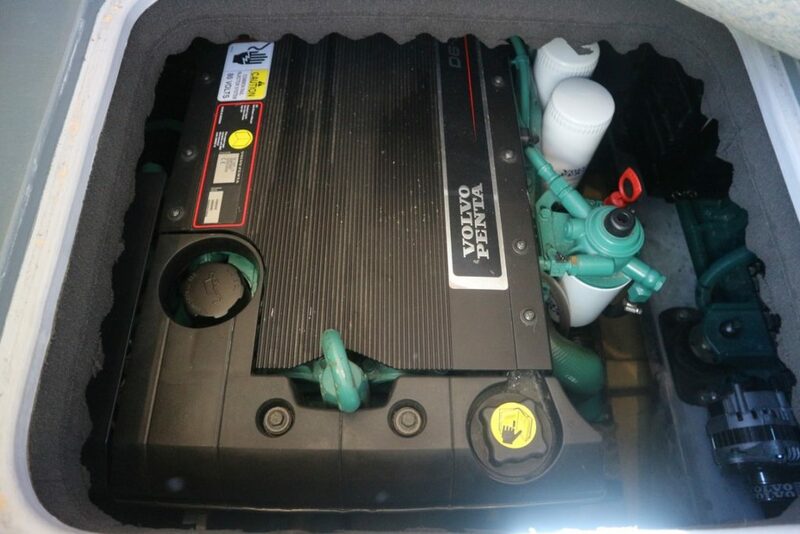 A fantastic example, clearly very well kept and lightly used with under 300 engine hours! 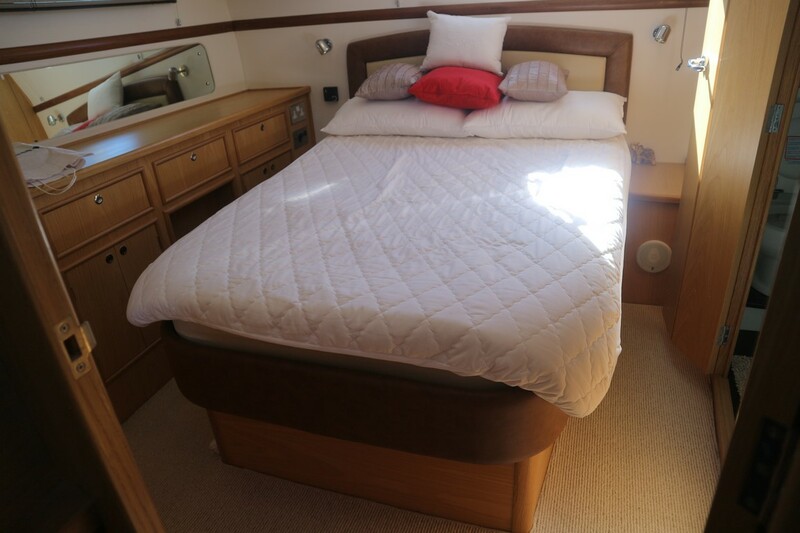 Air Draft (Feet): 11' 2"
The Haines 400 is Haines flagship offshore cruiser with both forward and aft cabins hosting generous island double berths as well as ample storage facilities. 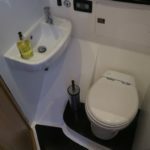 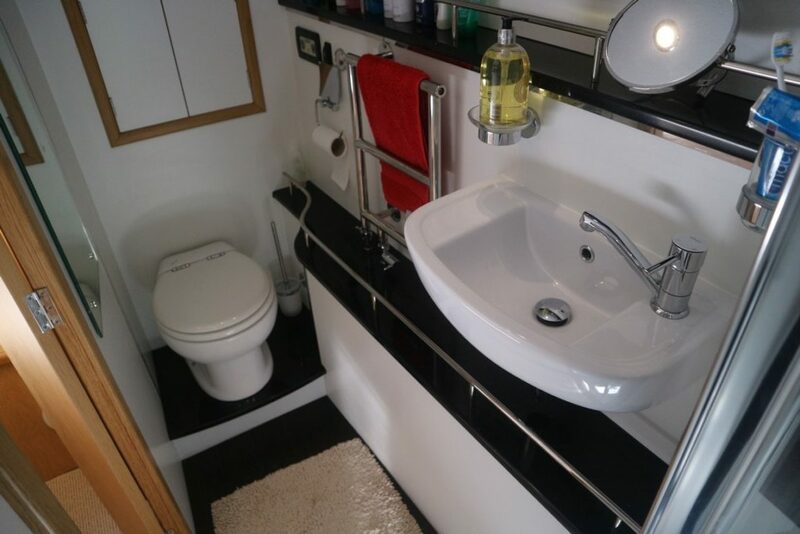 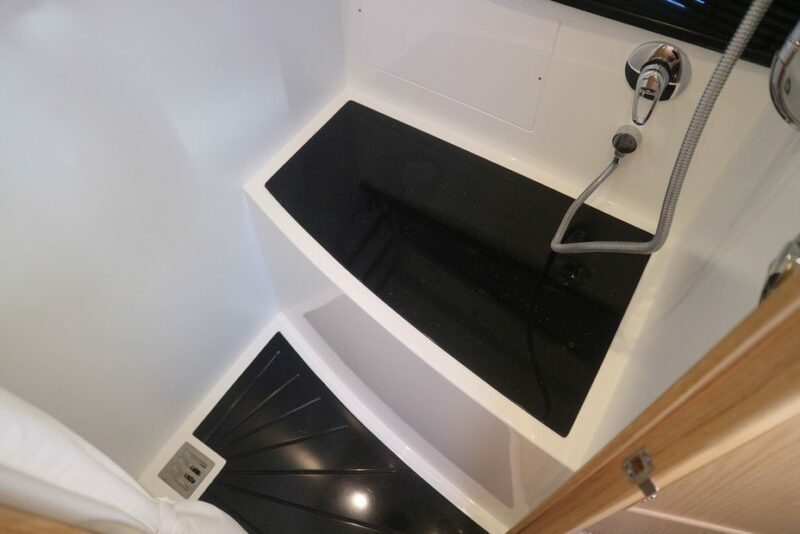 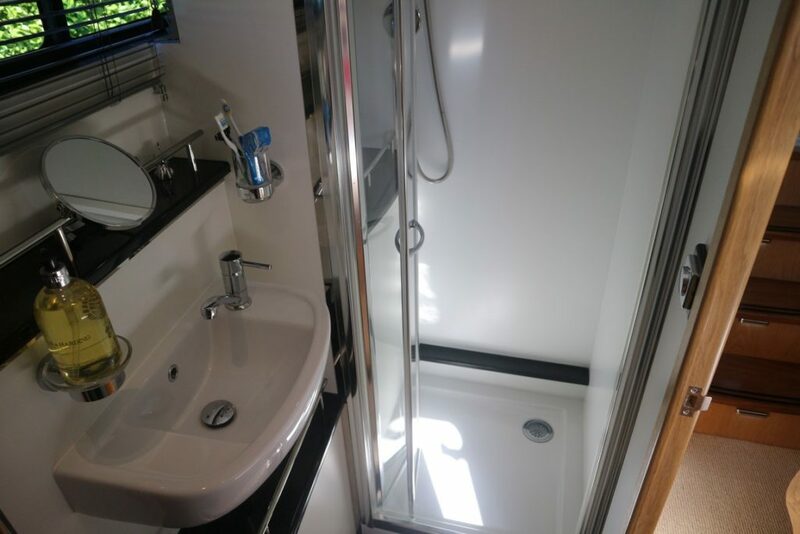 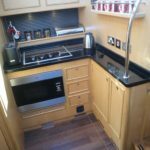 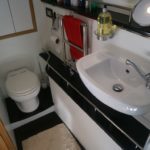 En-suite shower and toilet compartments are also a key feature, with Wash basins, Avonite work tops and cupboard storage. 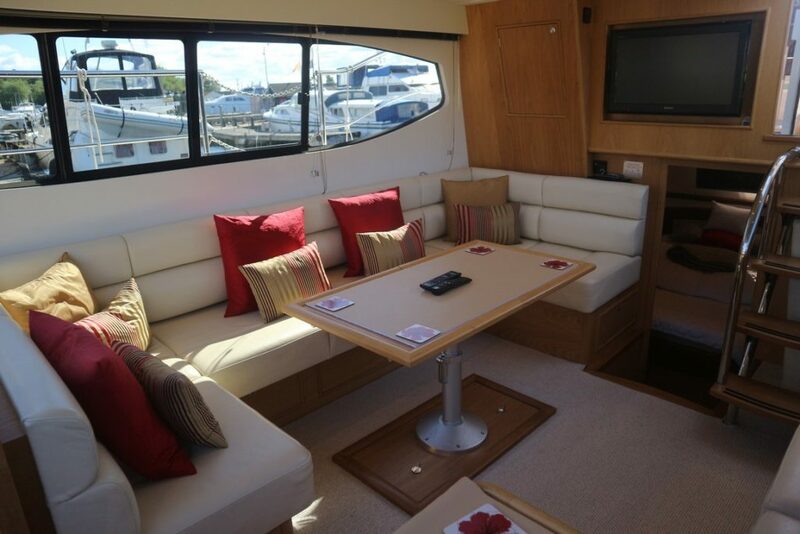 The Saloon holds a vast U-shaped settee to Starboard. 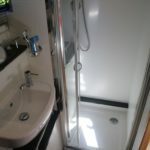 This can be converted into two additional berths if required with well appointed storage underneath. 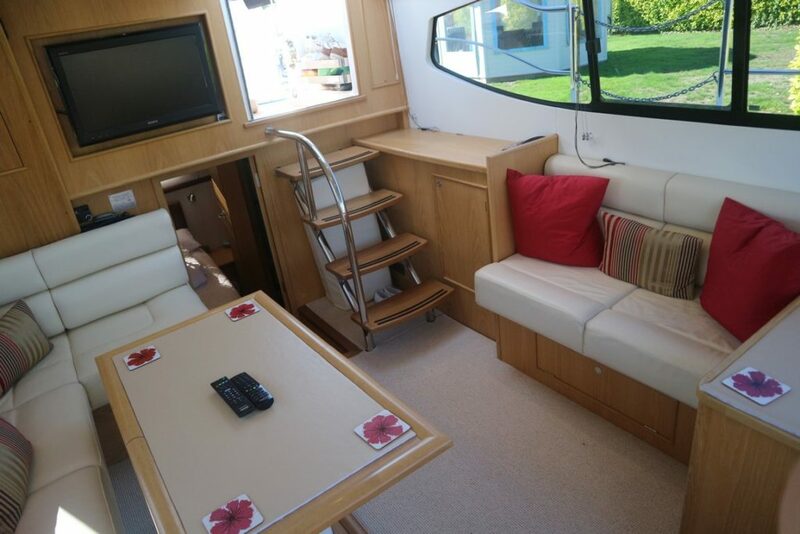 There is a two seater free standing settee to port. 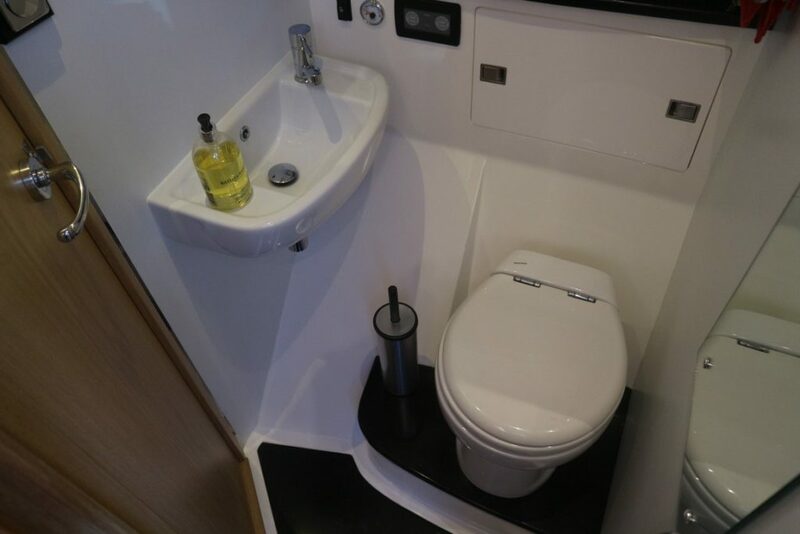 Generous space has been a pointed to the Saloon for extra comfort. 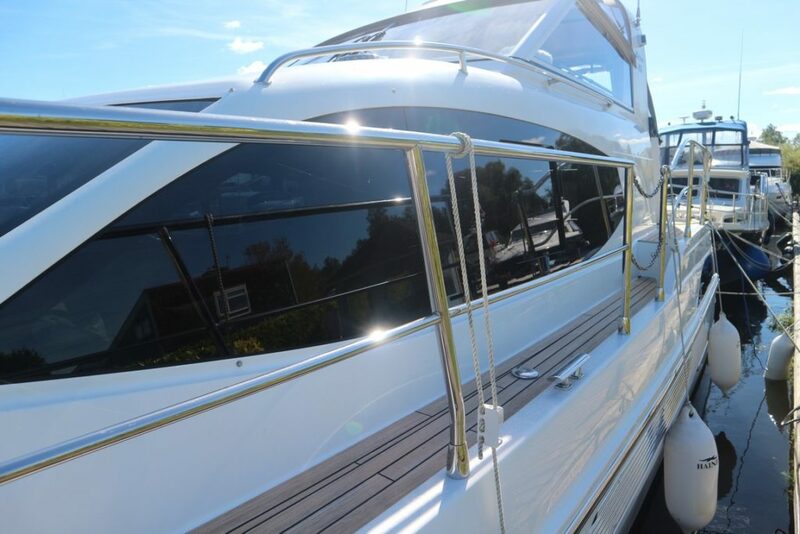 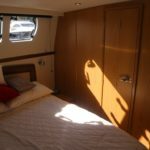 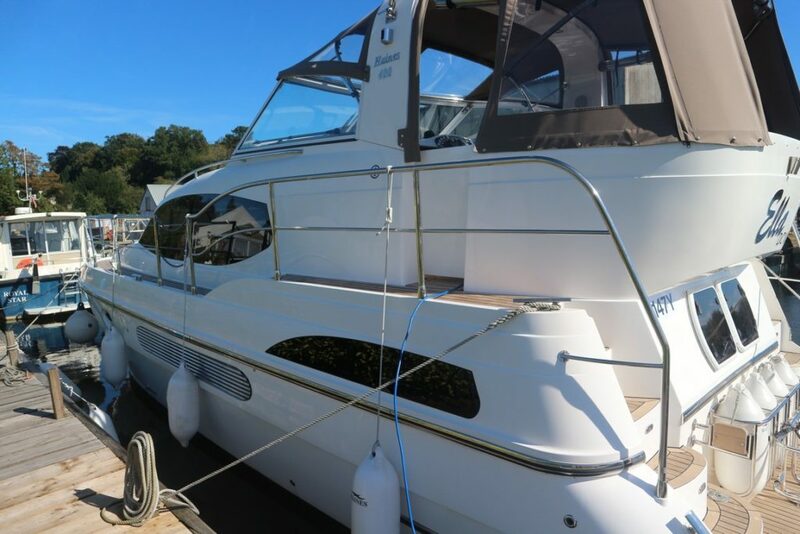 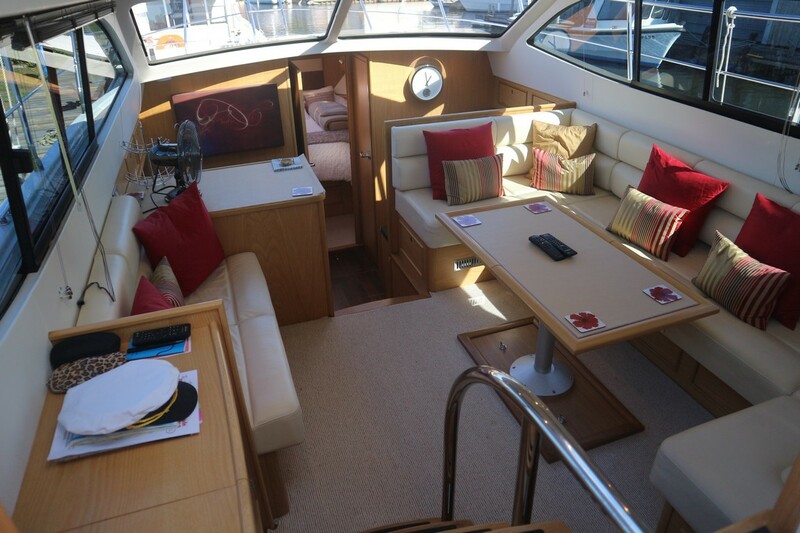 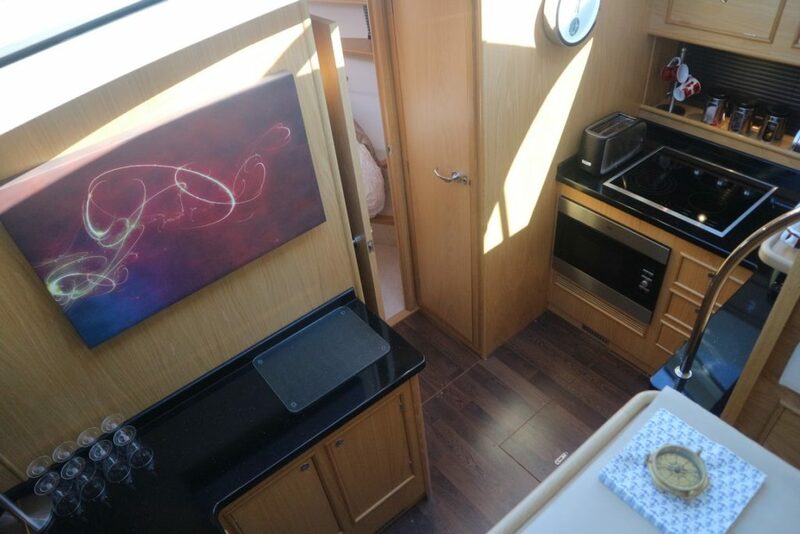 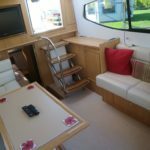 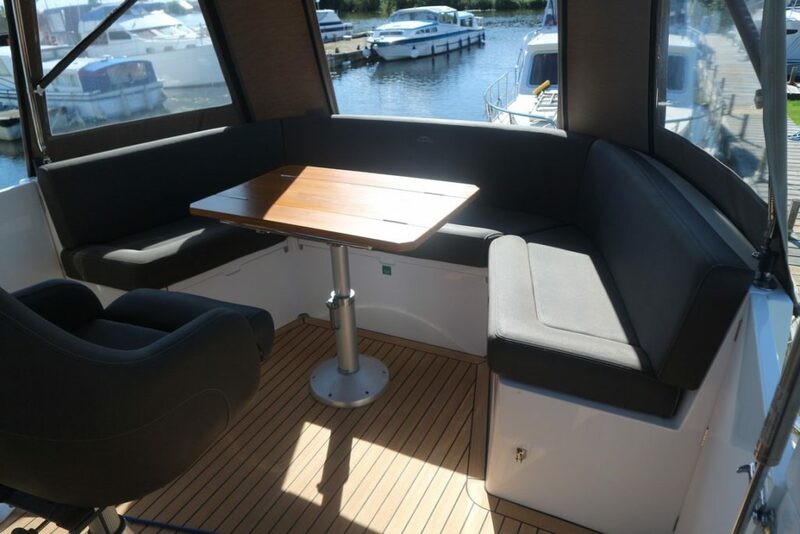 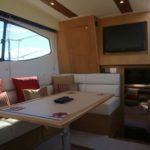 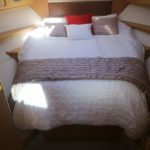 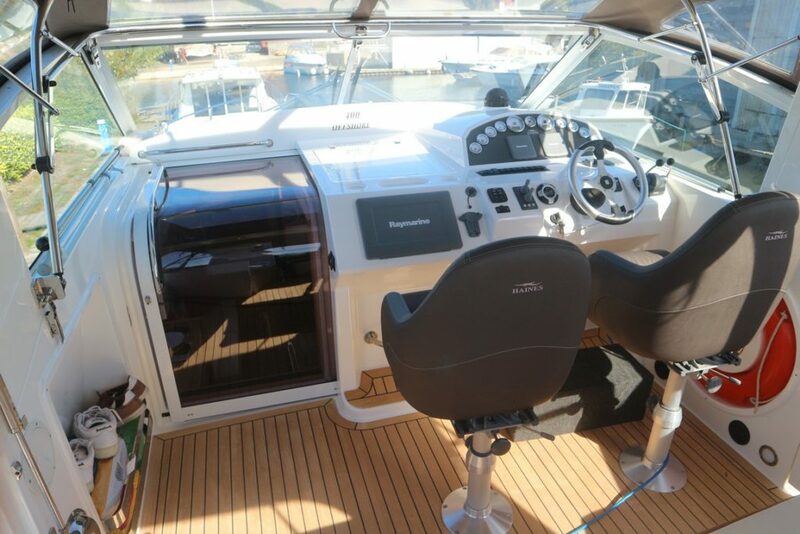 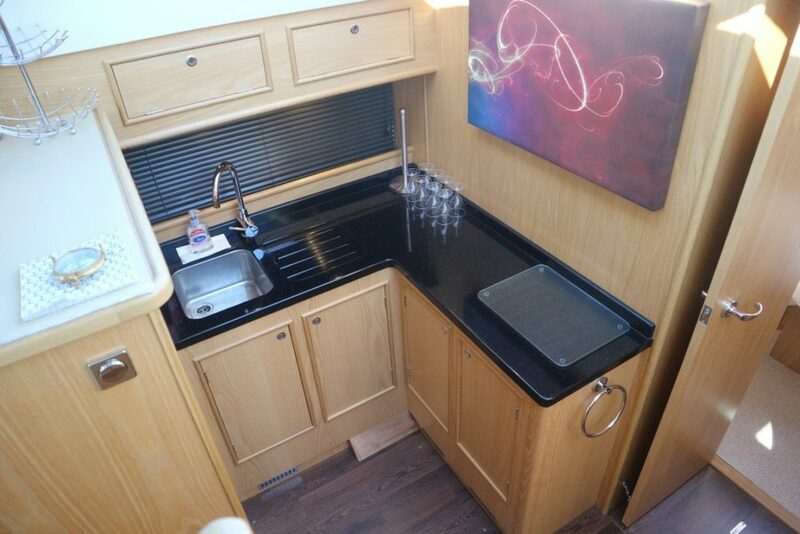 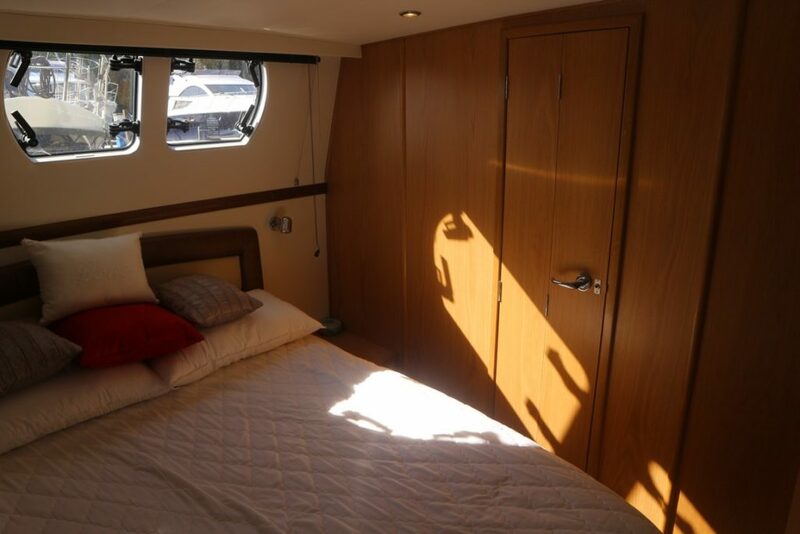 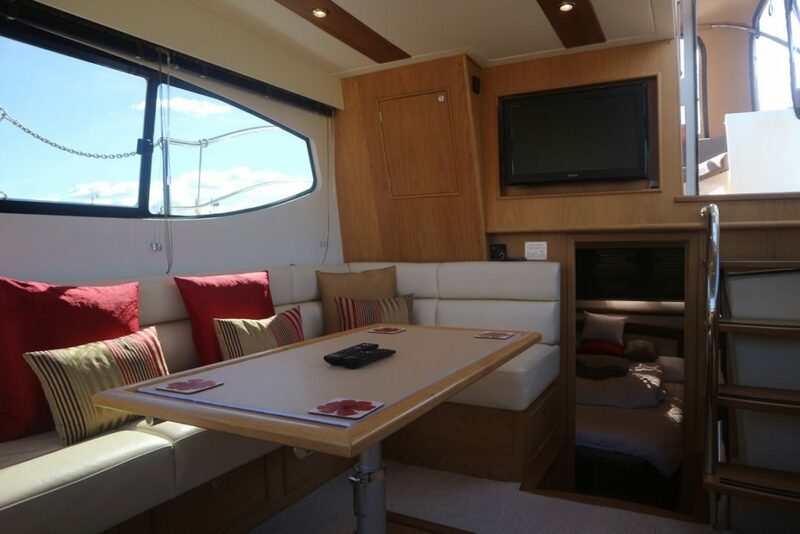 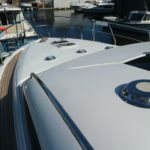 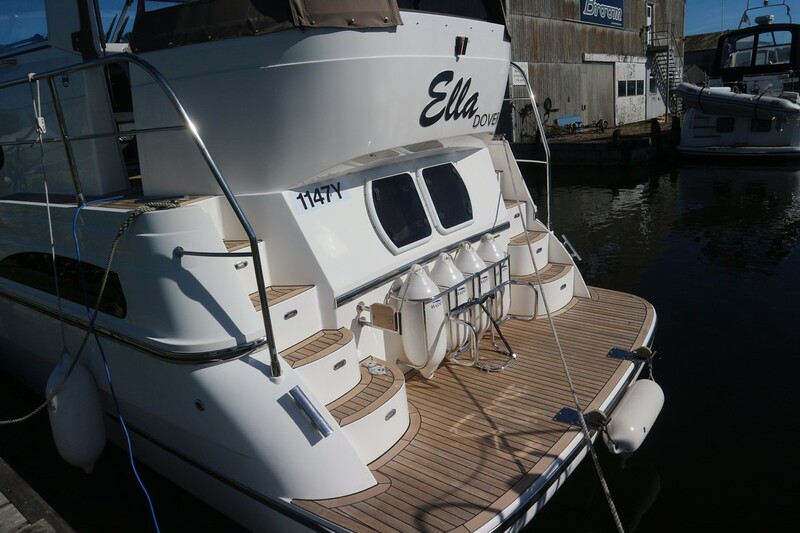 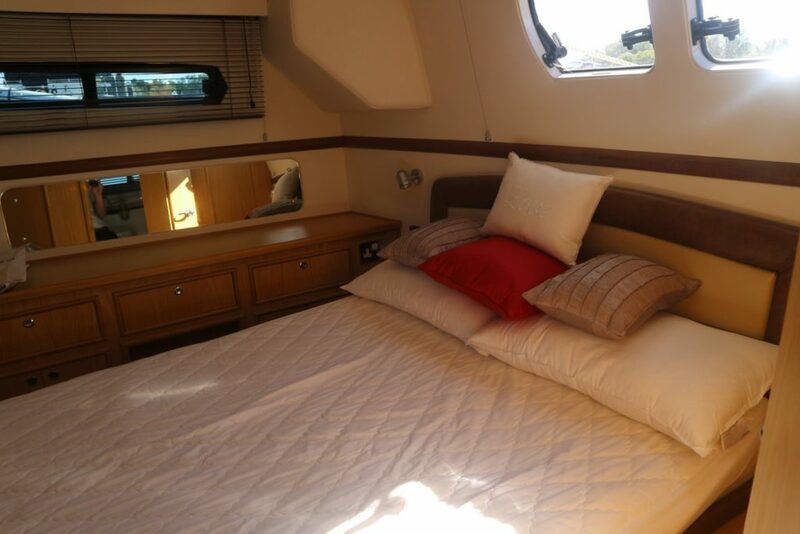 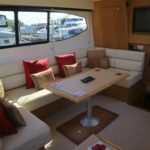 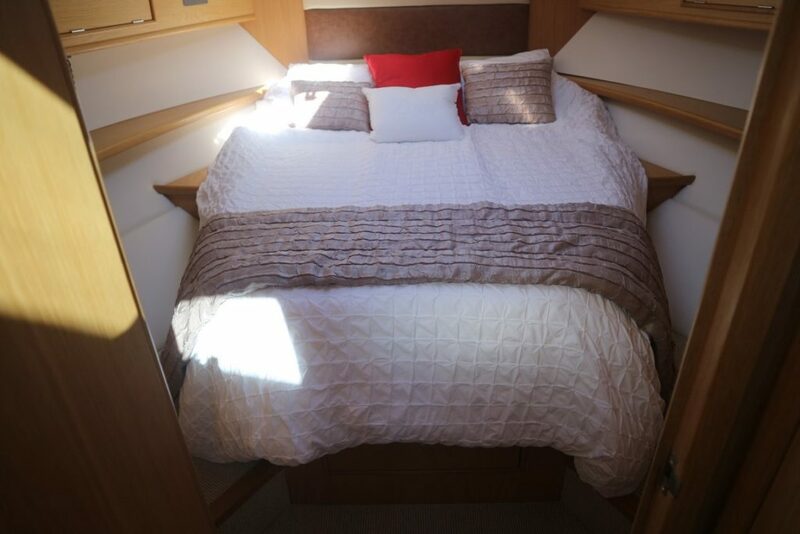 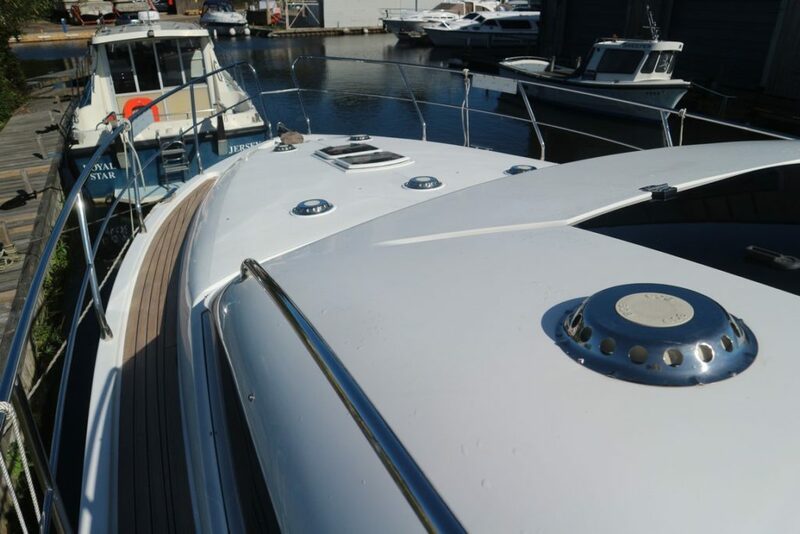 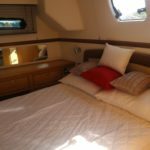 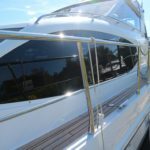 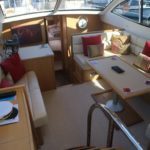 Access to the sun deck is achieved through the saloon with the helm position to starboard. 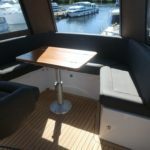 The deck is beautifully laid out and can be a fantastic sun trap.